Only for a limited time MED offers the following free options exclusively for our package subscribers. - japancontrolpanels Webseite! Only for a limited time MED offers the following free options exclusively for our package subscribers. You can participate and promote your company as special guest speaker at an international control panel conference event held by MED in Japan. 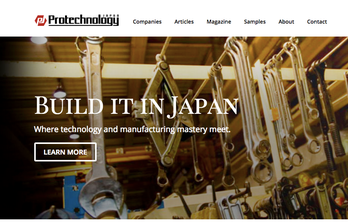 Your banner will be featured on the homepage of the Protechnology Japan manufacturing web portal site. Learn more about Protechnology Japan. Exclusive print advertising of your product in the high quality manufacturing magazine Protechnology Japan. A4 2-page spread published once a year. Learn more about the magazine. 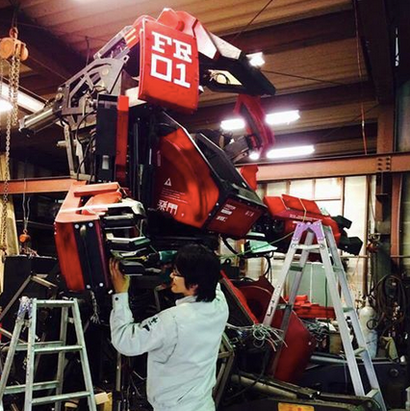 The four-legged ride-on robot was created as a piece of art by modeler Kogoro Kurata, and has since been transformed into an awe-inspiring project. You can become part of this project with your products featured in the robot's systems and your logo on it's body. You can also take part in promotion activities as supporting company. All options are offered for free to new subscribers to the MED Comprehensive Promotion Package. Only for a limited time MED offers exclusive free options for package subscribers.